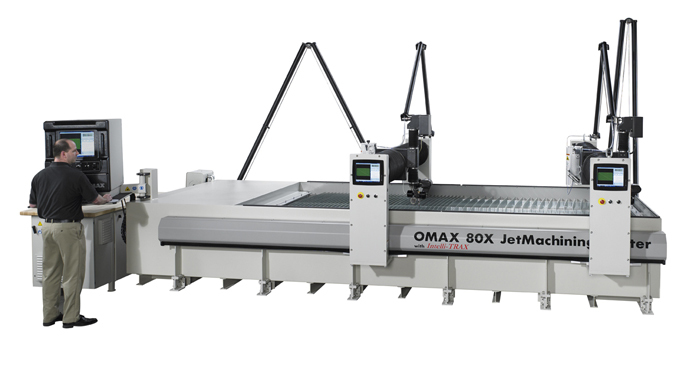 A-JET® for cutting beveled edges at specific angles. TERRAIN FOLLOWER/A-JET for an automatic Z-axis height adjustment. TILT-A-JET® for advanced taper removal for perfectly square part edges. COLLISION SENSING TERRAIN FOLLOWER automatically adjusts to accommodate uneven part surfaces. 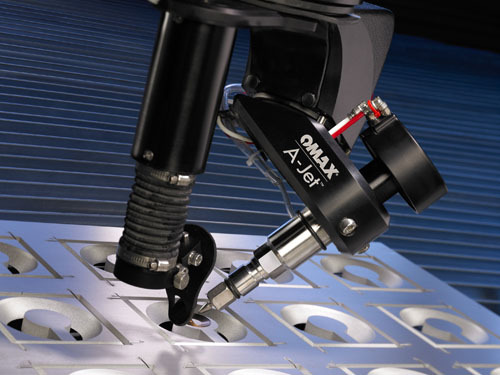 ROTARY AXIS for creating complex 3D parts and tube & pipe cutting. 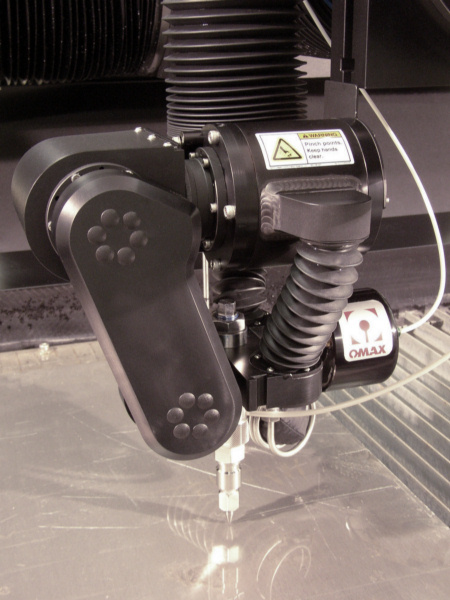 DualBRIDGE SYSTEMS two Y-bridges for single or multiple part cutting, available on 80X and larger models. DualPUMP SYSTEMS designed for shops that cut thick materials and have high capacity production or multiple nozzle requirements. The 4th Generation EnduroMAX® pump is the advanced direct drive pump that delivers the most horsepower to the nozzle. 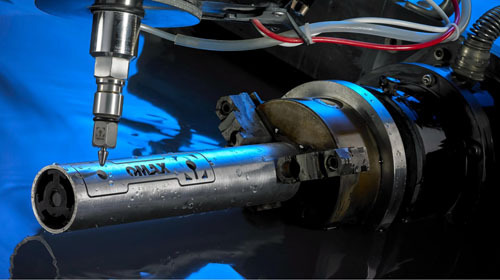 With 1000 hours between maintenance cycles, the EnduroMAX is the best choice for reliable and robust ultra high pressure waterjet pumps. DUALPUMP PACKAGE up to 100 hp, 60,000 psi (4,138 bar). 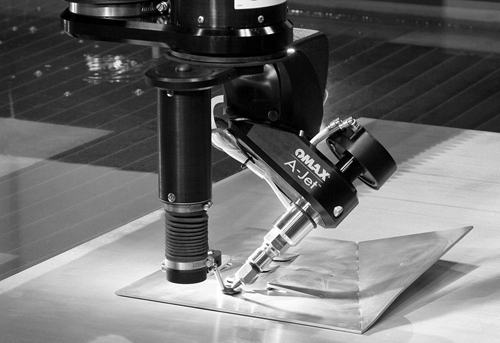 FACTORY TESTED, FIELD PROVEN All OMAX JetMachining Centers are extensively tested at the factory, including a ballbar circularity test and test cuts to ensure precision. 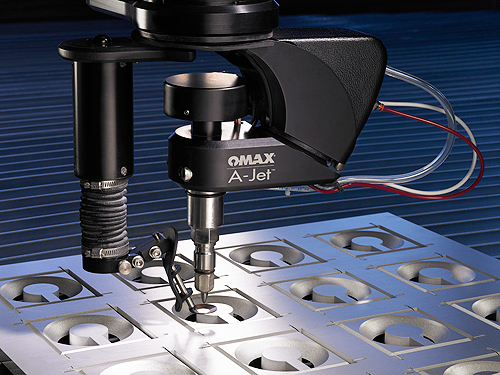 With thousands of machines installed and operating worldwide, the OMAX JetMachining Center is proven to be fast, precise, and reliable, with low maintenance and high production rates.